Finger bowls, check! Soft chunky bread, check! Big bowl of fresh Cornish mussels, check! Seafood fanatics, grab your diaries, and save this date now: 23rd & 24th June 2012 – the inaugural Fowey Mussel Festival 2012. 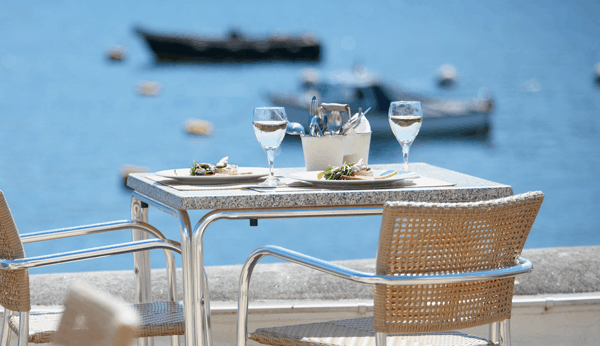 Watch talented local chefs take to the stage to flex their ‘mussels’ in live cooking demonstrations on the quayside as picturesque Fowey gears up to host its first ever food festival. Eat your body weight in mussels (if you can! ), or for some variety feast on oysters and wash it all down with some sparkling champagne. If your taste buds tingle for a sweet treat then devour strawberries and cream and crepes thanks to Brown Sugar – the local coffee shop. The action packed weekend will host everything from fish filleting demos and boat trips from the town quay to the mussel plant, to sea shanties by the Piran Pirates and live music. For a slice of the pie, stay at The Old Quay House luxury hotel on the main street amongst all the action. Its waterfront location offers a tranquil escape to put your feet up after a fun-filled day. With 295 miles of spectacular coastline, Cornwall’s waters are teaming with fresh local seafood. This gourmet food festival is bound to attract people from all over the country wanting to sample the legendary Fowey River mussels. And you can’t get any better than trying them straight out of the estuary where they grow. Move aside Falmouth Oyster Festival, this party is just getting started. To sample the best mussels in the country, come and visit us during this exciting weekend in June.